Sales analytics software reports on CRM data to reveal sales insights and forecast future performance. Sales teams and managers use sales analytics to gain visibility into sales activities; locate high or under-performing salespeople, products, or communications; and forecast future sales numbers. Sales analytic insights can be used to improve sales strategies and implement a more predictable sales model. Sales analytics systems are usually implemented on top of sales force automation and other CRM systems and use existing data to reveal insights, though some serve as both the CRM system of record as well as the analytics tool. Sales analytics products access data solely from sales tools, and their core functionality is to analyze sales information. Some companies opt to use business intelligence platforms and self-service business intelligence software instead, which can also provide companies insights into their data from a variety of other sources in addition to sales data. Sales Analytics reviews by real, verified users. Find unbiased ratings on user satisfaction, features, and price based on the most reviews available anywhere. Clari’s Connected Revenue Operations platform helps B2B organizations increase win rates, shorten sales cycles and improve forecast accuracy by using AI and automation to create full funnel accountability across go-to-market teams. We are used by hundreds of sales, marketing and customer success teams at leading B2B companies including Qualtrics, Lenovo, Adobe, Dropbox, and Okta to drive pipeline, audit deals and accounts, forecast the business and reduce churn. Clari is headquartered in Sunnyvale, Calif. For additional information, visit us at Clari.com and follow us @clarihq. Dramatically Improve the Effectiveness of Your Sales People. 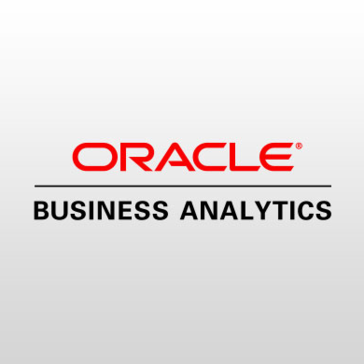 Oracle Sales Analytics provides hundreds of key performance indicators and more than 130 reports in five customizable dashboards. These analytics solutions dramatically improve the effectiveness of your sales people by providing real-time, actionable insight into every sales opportunity at the point of customer contact. With more accurate sales forecasts and enhanced identification of potential problems and opportunities, Oracle Sales Analytics helps close business faster and increase overall sales revenue. Aviso helps sales organizations close more deals with AI-powered opportunity management and forecasting that delivers highly accurate WinScores and actionable insights. Predicting which deals will close is inexact and often unrealistic, usually led by gut instinct. With Aviso, that changes with AI-based WinScores that are >90% accurate. Aviso Win Scores, combined with Opportunity Insights, Opportunity Maps and AI-driven Forecasting, instantly show sales managers and reps which deals to focus on, and when. Unlike CRM solutions that simply reflect what the business already knows, Aviso uncovers new intelligence and insights to help close specific deals. Leading sales teams are adopting AI from Aviso to take control of their opportunities and drive more revenue with more predictability. .
Einstein Analytics is complete analytics build on the world's #1 CRM Enterprise-Ready Einstein Analytics run's on the world's #1 trusted cloud platform, making it secure and scalable for the world's more demanding businesses. The platform gets seamless upgrades three times a year and includes mobile apps for iOS and Android. Connected to Data from Any Source Einstein Analytics delivers business insights that are infused within business processes. Because it's native to Salesforce, users can take CRM actions in context and collaborate on the data in the same place you work already. 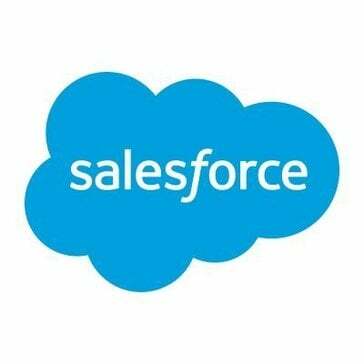 Users can analyze data in Salesforce or from any data source. Complete Einstein Analytics includes the whole spectrum of analytics - descriptive, diagnostic, predictive, and prescriptive. Users can get up and running quickly with Analytics Templates, they can build their own custom dashboards, or they can extend their investment with partner apps from the AppExchange. Intelligent Einstein Analytics is smarter with Einstein Discovery, which is transparent, no-code AI. Users get narratives and explanations on what happened, predictions on what might happen, and recommendations for how to improve. HelloProfit delivers the perfect toolset to keep you on top of your Amazon Business. One Platform, One Tool – Attend to ALL of your needs as a seller in one place. No more need for 5, 10, 20 different tools! Remarkably simple, powerful and affordable, Azurepath's automation and ease-of-use stand apart in a market full of over-priced sales CRMs showing their age. At a flat price of only $14.95 after a free trial, Azurepath has the best feature to price ratio in the industry. Get started immediately by dragging and dropping any contact or lead list into Azurepath and let it track activity, keep leads current, generate reports and forecasts, and create critical insights automatically and in real-time. VisualizeROI is a value selling application for marketers and salespeople that can create and share compelling, visually engaging pain calculators, ROI tools, and TCO tools. MoData's AI-powered sales intelligence software delivers: (a) 100s of out-of-the-box Sales KPI charts/reports. (b) Track pipeline changes & Funnel progression. (c) Account Based Sales & Target Account Engagement Tracking. (d) Pipeline Prediction. (e) Forecasting (e) Bundled reporting for common tasks like Board Meeting & One-on-One. (f) Alerts delivered directly to your inbox. Brandwise Vision is a tool for wholesale business that allow managers the ability to command their sales forces with extensive data on the performance of sales reps, territories and products (including what is not happening in a territory) for ultimate sales optimization. SalesChoice helps create powerful dashboards that help manage sales more efficiently. Our predictive analytics measure lead sources against outcomes which helps in not only budget planning but also to get immediate visibility into opportunities which can result in predicted wins and hence increase focus on opportunities that need to be accelerate on. SalesChoice prediction outcomes are upto 95% accurate thus helping our clients secure a competitive edge. SalesLink integrates advertising sales and CRM functionality into a single, responsive application. Bedrock provide a software that takes syndicated & retail data (Nielsen, IRI, Spins, Whole Foods, etc) and transforms it into dynamic selling stories for consumer product goods (CPG) sales managers to give sales & marketing managers easy to apply data-based selling stories that are fine tuned to do three things - sell more product in to retail, keep customers' products in retail and find ways to optimize their categories. CashCowPro includes ALL the features you need to run & grow your Amazon business, from automatic messaging for feedback to keyword tracking. With ClickBase you can easily analyze your month to month or even day to day sales comparisons to any level of detail and between any elements of your business. CXMap is a visualized customer experience analytics for growth hacking. It helps to get insights into visitor behavior, find growth potential and track marketing experiments with the entire team. DemandPlanner is a sales analytics solution helping businessesgenerate accurate sales and demand forecasts. Hello Conversion is lead generation software that features SMS marketing, reporting, and RVM marketing. Manage your sales pipeline, prioritize sales leads and remove roadblocks to sales. IntelliConnection Appointment Setting and Sales Automation is a solutions that help sales teams increase productivity and results. Invoca is a call tracking and analytics solution that helps marketers get conversion reporting and campaign attribution from inbound phone calls. Powered by award-winning AI, our platform delivers real-time call analytics to help marketers take informed actions based on data generated before and during a phone conversation. As a result, marketers can dramatically improve ROI by driving more revenue-generating calls, increasing conversion rates, personalizing the customer journey, and running more efficient campaigns. Visit invoca.com or call 855-400-3199 to learn how to drive more calls and turn them into sales. .io Analytics dashboards for media and eCommerce websites. i.Predictus helps companies maximize their marketing performance and spend by delivering actionable insights. KiniMetrix is a Software-as-a-Service (SaaS) offering that provides best-practice revenue analytics for organizations ranging from startups to Fortune 500 corporations. Turning your CRM data into actionable insights to grow your sales with a smarter sales analytics and forecasting platform you can trust. Retail inventory optimization software designed specifically for vendors supplying big box retailers and online channels. Retail is complex and evolving ever faster. What you need is a single version of the truth so you can focus on what is important, not what is urgent. Krunchbox consolidates all your POS data from different channels into one simple portal. It will help you identify how to cluster the right products in the right stores, with the appropriate depth of inventory. It can even calculate recommended replenishment orders. Whether you just need dashboards to show you what happened, why it happened and what you should do next, or you need sophisticated 'what if' analysis tools for supply chain optimization, krunchbox has all your needs covered. With mobile app, tablet app and desktop versions, you can have data how you need it, where you need it and when you need it! Omniom IQ is a predictive sales software and data driven sales solution. OneHQ is a software platform for Insurance Industry that help increase sales and improve service. Why Use Sales Analytics Software? Who Uses Sales Analytics Software? Sales analytics software estimates the likelihood of sales outcomes using algorithms based on existing CRM software data. In other words, sales analytics tools are meant to simplify sales forecasting and present predictive sales data in the form of statistical datasets and reports. Data is collected, modeled, analyzed, and then deployed within the tool in a readable manner that sales teams can filter and analyze. One of the major perks of sales analytics software is the ability to automate sales pipeline pattern tracking, eliminating the time-consuming task of tracking this data manually via spreadsheets. In terms of forecasting, teams can analyze pipeline activity over a period of time and compare multiple forecast models without the hassle of manually building a report. More quick wins — Sales analytics help visualize sales projects and cross-selling opportunities that are considered easy to win based on forecasting patterns and pipeline location. This data helps sales teams prioritize projects that are most likely to make it through to the end of the pipeline and ultimately become a customer. The datasets also visualize the potential for risky sales, allowing managers to spend more time planning and analyzing the correct pathway to a win. Team analytics — Not only do sales analytics tools help visualize sales data, but they also measure team analytics. Sales managers are able to keep track of the progress and performance of each sales team member, easily identifying the most successful team members and the efficiency of the team overall. Sales gamification software can typically be integrated with sales analytics software for additional team motivation. Integrations — Sales analytics solutions easily integrate with other types of sales software offerings. By integrating with other sales software tools, you will also likely be able to simplify the workflow of your sales team. Rather than having several different tools open at a time, all of the information from all of your software will be accessible from one spot. Sales representatives — Sales teams use sales analytics tools for forecasting sales outcomes, which efficiently helps with prioritizing easy versus difficult sales projects and helps measure the potential of closing sales. Sales operations — Sales representatives often use sales analytics on their own, but sales operations teams help representatives filter and understand the effectiveness of particular datasets and help convey project success, where needed. The goal of sales operations teams is to help representatives focus on selling, so operations teams typically handle the project management and training with the tool depending on the experience representatives have with understanding the datasets involved. Sales managers — Sales managers are able to keep track of the progress and performance of each sales team member, easily identifying the most successful team members and the efficiency of the team overall. Dashboards — Sales analytics tools differ in the type and customizability of their dashboards. Some products offer dashboards that are highly dynamic, allowing you to view data in a large number of ways by segmenting information. Others have dashboards that are more static, so sales teams cannot customize them. These options are often less expensive and typically easier for sales representatives to manage. Forecasting analytics — Forecasting analytics alleviates human error by automating forecasting predictions and eliminating the need for modeling manually via spreadsheets. The forecasting features provide informative datasets in a visual format to help sales teams predict sales outcomes. Mobile capabilities — Sales teams, especially outside sales teams, are often on the go and rely on mobile phones to take care of a lot of their sales functions. Many solutions offer dataset visualization across multiple platforms, including mobile. Lead analytics — A beneficial use for sales analytics software is predictive lead scoring, which identifies trends in the customer pipeline and uses these trends to predict how far along a lead is in the pipeline. This allows sales teams to qualify and prioritize opportunities based on which leads are most likely to close. This feature works similarly, and can be integrated with, sales intelligence software. AI capabilities — While sales analytics tools already incorporate machine learning algorithms to evaluate sales performance, as well as predict future sales outcomes, artificial intelligence (AI) is gearing up to make a bigger impact on the tool and sales software in general. AI is predicted to help incorporate more real-time insights for more on-demand sales opportunities. With real-time models and instant datasets, sales teams can make more sales in shorter periods of time without additional manual effort. Predictive analytics software — Predictive analytics software is a tool used to create algorithmic statistical datasets based on historical data patterns to better understand customers, products, and partners. It also helps identify potential risks and opportunities for a company overall. AI sales assistant software — Like sales analytics software, AI sales assistant software is also a time-saving tool for sales teams. The software’s main features include automating tasks and processes like lead qualification, lead follow-up, pipeline management, forecasting, meeting scheduling, and data entry. Hi there! Can I help you find the best Sales Analytics solutions?